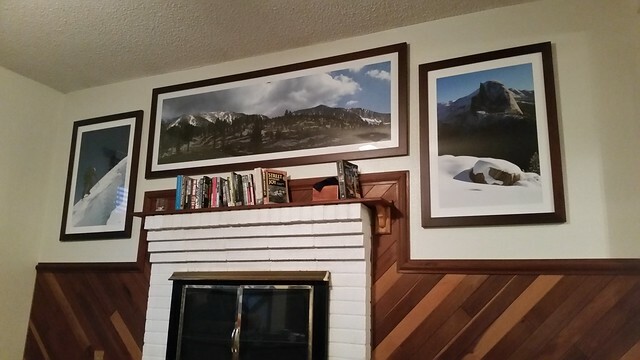 These photos are so large that mounting and framing them was pretty damned expensive. But I am impressed with the quality that is available with a little pocket point-and shoot camera (all these photos were taken with my old Canon PowerShot 590). That’s it for big expensive blow-ups. Tonight I go to Aaron Bros to buy some off-the-shelf frames for smaller blow-ups. 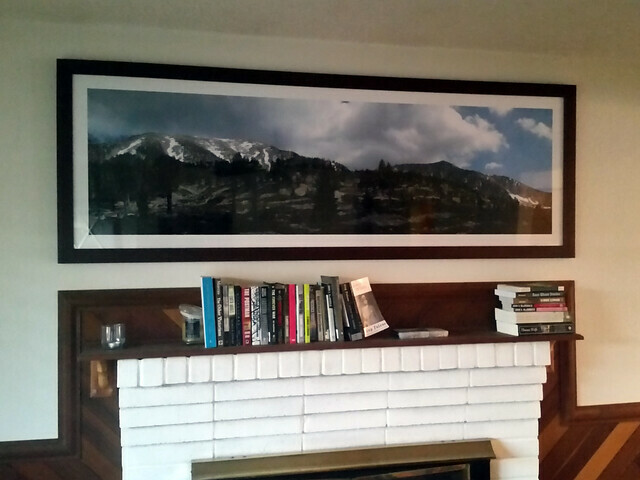 Finally hung my new framed photo of Mt San Gorgonio; it’s 76 inches wide!